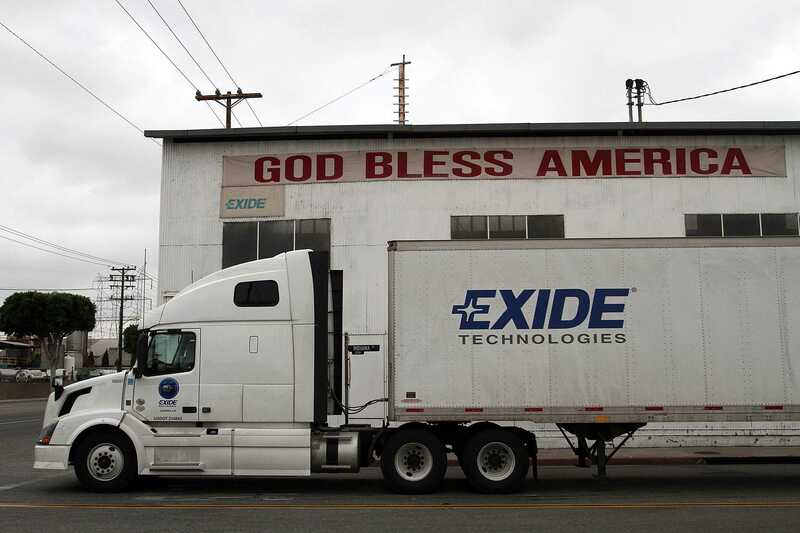 Last month, one of the world’s largest producers and distributors of batteries, Exide Technologies, began shutting down its recycling plant in Vernon, leaving behind a decade’s worth of pollution and hazardous waste. Exide came to an agreement with federal officials in an effort to avoid criminal charges associated with the release of dangerous pollutants into surrounding southeast Los Angeles neighborhoods. Residents of these hot spots are at an increased risk of developing many health complications, such as asthma, heart and lung disease and other illnesses, according to the American Lung Association. Low-income minority neighborhoods disproportionately bear the burden of air pollution because of their close proximity to freeways and pollution-causing industries, as well as their lack of green space. The primary sources of air toxins are large chemical manufacturers, gas stations, automobile paint and body shops, print shops and dry cleaners. The emissions from smaller polluting facilities are not regulated because these facilities are not recorded in government regulatory databases, the Liberty Hill Foundation said. While all communities may face pollution, low-income minority neighborhoods are far more commonly devastated by environmental hazards. An article published in the Los Angeles Times reported that 1.2 million LA residents live within two miles of facilities handling hazardous waste—91 percent of which are minorities. This junction of pollution and social inequity, issues of “environmental justice” as those in the legal and environmental professions have termed it, often represent a hidden yet perilous side to stories of societal marginalization and racism with which Angelinos are all too familiar. We tend to view environmental degradation and human rights as discrete, largely because the unequal distribution of the pollution burden rarely receives as much attention as more evident injustices, such as police brutality or the self-perpetuating prison system. Nevertheless, the social and the environmental are inextricably intertwined, and in cases like the Exide plant, a matter of life and death. Yet, it is not enough to simply consider the problem. In order to help our most vulnerable LA neighbors get out from under the disproportionate burden of pollution, environmental justice must become an integral part of our conversations and actions surrounding social inequity. Local efforts to provide meaningful assistance are already underway. In three of the aforementioned LA low-income toxic hot spots—Pacoima, Boyle Heights and Wilmington—a coalition of grassroots organizations and community members have been actively advocating for an aggressive policy to reduce and prevent pollution, and improve public spaces. The Clean Up Green Up policy, approved unanimously by the LA City Council in 2013 and currently being reviewed by the Department of City Planning for future implementation, would designate these three areas as “green zone” districts, revitalizing industries and preventing further pollution. The policy would reward industries that become green with economic incentives, while targeting big polluters with harsher inspection and enforcement protocols. Clean Up Green Up not only helps local businesses but it aligns itself with environmental justice efforts by protecting the health of these underserved communities, especially residents most sensitive to the effects of air pollution. Yet as the policy moves forward, it will undoubtedly face stern opposition from industries that wish to evade tighter regulations—industries whose primary concerns are likely more fiscal than socially conscious. And, while the policy may have been initially improved by City Hall, it is not impervious to changes that may serve to weaken it. Thus, it is crucial that all Angelinos, not simply those who live in the most severely affected areas, show solidarity by throwing support behind policies like Clean Up Green Up. We implore you to write to your city council member (Northridge is part of District 12, whose Council Member is Mitchell Englander) to affirm your support and request that they continue to do the same. Also, donations or volunteering with a local grassroots environmental justice organization will better equip them to keep fighting on behalf of our most vulnerable communities. The entire San Fernando Valley has the worst air quality in So Cal. So trying to bring minority discrimination into this issue is nonsense. Also nobody lives in Vernon, its an industrial park.